Ulysses S. Grant's life has typically been misunderstood. All too often he is caricatured as a chronic loser and an inept businessman or as the triumphant but brutal Union general of the Civil War. But these stereotypes don't come close to capturing him, as Chernow reveals in his masterful biography, the first to provide a complete understanding of the general and president whose fortunes rose and fell with dizzying speed and frequency. Excellent Book (BUT WHERE IS THE PDF FILES)???? 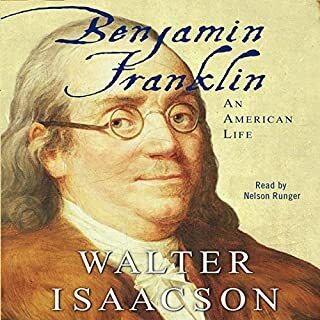 In this magnificent biography, the Pulitzer Prize-winning author of American Lion and Franklin and Winston brings vividly to life an extraordinary man and his remarkable times. 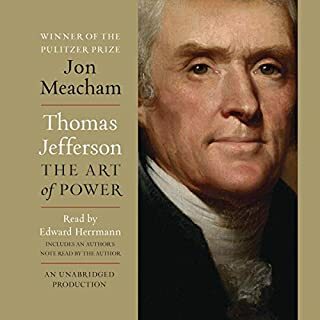 Thomas Jefferson: The Art of Power gives us Jefferson the politician and president, a great and complex human being forever engaged in the wars of his era. Philosophers think; politicians maneuver. Jefferson’s genius was that he was both and could do both, often simultaneously. Such is the art of power. Andrew Roberts' Napoleon is the first one-volume biography to take advantage of the recent publication of Napoleon's thirty-three thousand letters, which radically transform our understanding of his character and motivation. At last we see him as he was: protean multitasker, decisive, surprisingly willing to forgive his enemies and his errant wife Josephine. He makes Bill Gates look like a Pauper! Hailed by critics as an American masterpiece, David McCullough's sweeping biography of Harry S. Truman captured the heart of the nation. The life and times of the 33rd president of the United States, Truman provides a deeply moving look at an extraordinary, singular American. A gripping history of banking and the booms and busts that shaped the world on both sides of the Atlantic, The House of Morgan traces the trajectory of the J. P.Morgan empire from its obscure beginnings in Victorian London to the crash of 1987. Ron Chernow paints a fascinating portrait of the private saga of the Morgans and the rarefied world of the American and British elite in which they moved. Based on extensive interviews and access to the family and business archives, The House of Morgan is an investigative masterpiece. Winner of the 1982 National Book Award for Biography, Mornings on Horseback is the brilliant biography of the young Theodore Roosevelt. Hailed as a masterpiece by Newsday, it is the story of a remarkable little boy -- seriously handicapped by recurrent and nearly fatal attacks of asthma -- and his struggle to manhood. 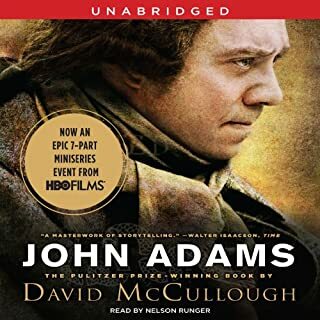 An illuminating study of the intertwined lives of the founders of the American republic - John Adams, Aaron Burr, Benjamin Franklin, Alexander Hamilton, Thomas Jefferson, James Madison, and George Washington. Wish the sample was not from the preface! Bankers, philanthropists, scholars, socialites, artists, and politicians, the Warburgs stood at the pinnacle of German (and, later, German American) Jewry. They forged economic dynasties, built mansions and estates, assembled libraries, endowed charities, and advised a German kaiser and two American presidents. But their very success made the Warburgs lightning rods for anti-Semitism, and their sense of patriotism became increasingly dangerous in a Germany that had declared Jews the enemy. 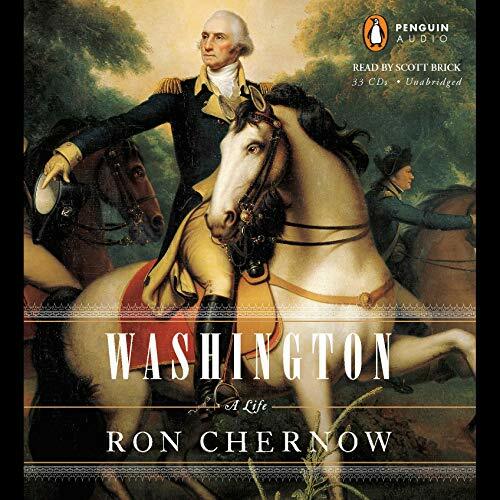 From National Book Award winner Ron Chernow, a landmark biography of George Washington. In Washington: A Life celebrated biographer Ron Chernow provides a richly nuanced portrait of the father of our nation. With a breadth and depth matched by no other one-volume life of Washington, this crisply paced narrative carries the listener through his troubled boyhood, his precocious feats in the French and Indian War, his creation of Mount Vernon, his heroic exploits with the Continental Army, his presiding over the Constitutional Convention, and his magnificent performance as America's first president. Despite the reverence his name inspires, Washington remains a lifeless waxwork for many Americans, worthy but dull. A laconic man of granite self-control, he often arouses more respect than affection. In this groundbreaking work, based on massive research, Chernow dashes forever the stereotype of a stolid, unemotional man. A strapping six feet, Washington was a celebrated horseman, elegant dancer, and tireless hunter, with a fiercely guarded emotional life. Chernow brings to vivid life a dashing, passionate man of fiery opinions and many moods. Probing his private life, he explores his fraught relationship with his crusty mother, his youthful infatuation with the married Sally Fairfax, and his often conflicted feelings toward his adopted children and grandchildren. He also provides a lavishly detailed portrait of his marriage to Martha and his complex behavior as a slave master. At the same time, Washington is an astute and surprising portrait of a canny political genius who knew how to inspire people. Not only did Washington gather around himself the foremost figures of the age, including James Madison, Alexander Hamilton, John Adams, and Thomas Jefferson, but he also brilliantly orchestrated their actions to shape the new federal government, define the separation of powers, and establish the office of the presidency. At first, I was concerned that a book of such great length would too quickly loose my attention. I was surprised how interesting the book remained throughout the many chapters. Washington was such an interesting person. The author takes us through his life, exploring both his many accomplishments and the man himself. I have to admit that after listening to this book, my admiration for our first president grew quite a bit. The narrator has a clear and pleasant voice. I highly recommend this book. A sad day when my book was done! 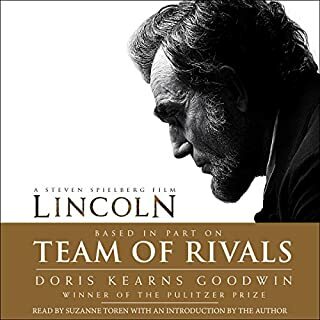 Let me first get this comment out of the way: For me at least, and I suspect most others, the narrator can make or break the listening experience. Indeed they can utterly ruin it, as I am now experiencing with another title that I am absolutely cringing through. That said, Scott Brick is my favorite, hands down. He has a pleasant voice and while he uses little emotion in it (as it should be), you get the feeling that he is enjoying the story as much as you are. My first experience with him was with "Sinatra," and now that I've spent this 20+ hours with him, I'm still impressed. General Washington was THE man. It has occurred to me that, all things considered, he may well have been not human in the sense that most of us are. When we consider how close we came to not having a nation at all, and the number of times even Washington considered the turning of events as divine intervention, well, we should all count ourselves very, very fortunate. Washington: A Life in and of itself is superbly researched and written. The General's blind and often self-serving acceptance of slavery and his thirst of land ownership by sometimes questionable means are not overlooked or glossed over, nor is he maligned for them. It simply presented the facts and let the listener draw their own conclusions from them. In the end, it is the story of a fabulous man. What a life. Seldom, if ever, have I enjoyed a listening experience more. Well worth the cost -- I know I'll go back to it again and again. I've read tons of books on Washington and the founding fathers but this was the best, hands down. So much in there that I didn't know... As another plus, Scott Brick has to be the best narrator out there. Very impressed with the book and narration! This book is a straight forward unbiased view of the life of our first president. The author doesn't white wash or over criticize Mr. Washington but offers a fair, complete, and detailed look into the man who became a legend. I have learned a more honest approach about George Washington from this book than any previous one I've read. Very well researched, and very well written. The history, the politics, and the society of the times come to life in this biography. Scott Brick is the perfect voice for narrating this story! A great book about a great and good man. This is a long book. Having said that, it may not have been long enough. As the story drew to its natural conclusion, I began to get that feeling one gets on Sunday, when Monday asserts itself on the horizon. A foreboding, if you will. I began to be sad, as if I was to personally experience the death of this great man. In truth, it was quite sad, as the book ended and I felt the personal loss of the father of our country slipping into the history in which he would have so great an influence. The book is well written and Scott Brick is ever good at what he does. I feel I have a greater understanding of our country both for then and more importantly now. It is truly a miracle that we even made it out of the 1700's. I think the author did a laudable job of laying out the true character of Washington, both his commendable traits as well as those not so flattering. I came away with what seems to me to be a complete and detailed picture of one of the most, if not the most, important man in the whole history of these United States. I highly recommend this book. I was amazed by how little I knew about Washington and his times. The fact that more blacks fought in the Revolutionary War than at any other time prior to WWII blew me away. His description of Washington as having super human strength and only 43 at the time of the revolution erased my early conceptions of his being a frail, older man. I love this book and the narration is perfect. As a relative amateur Revolutionary War Historian, I found this book to be fascinating! I have read in the area of 35 books on the period and have not found the detail that the author has offered in this book. It gives on a far better understanding of the life in this era than any other book that I have read, and I have tried to read them all! A must read. I'm neither an historian nor an academic nor can I say it as well as the first 5 reviews but I am really enjoying this 40 hour romp through the Revolutionary/Founding Father's era. It is not a simple recitation of events or a rehash of the hundreds of other bios that have already been written (including those recently written by McCullough or Ellis). Chernow gives an in-depth look at the man and his times--and he does so with a new perspective and with much detail. 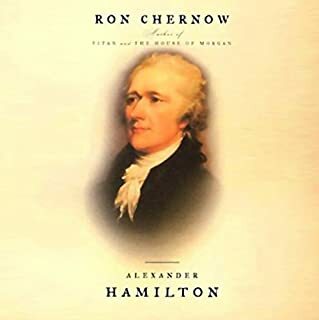 More than any bio I have read of Washington, Chernow uses Washington's own papers as well as other first hand sources to get beyond the myth and tell us who this man really was--and give some explanation of why he thinks his interpretation of the material supports his conclusions. Now, if the audio file could only include jpg's of the paintings and sculptures referred to in the book. 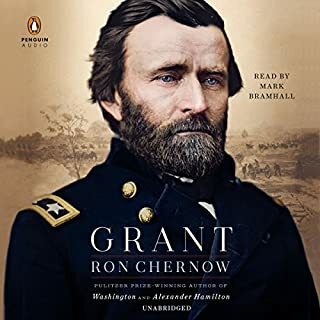 I enjoyed the character of Alexander Hamilton better in a previous book by Chernow but this book on Washington was a better and more interesting read/listen. As a casual history buff, I was greatly impressed with both the narrative and the reading. Chernow does a tremendous job of putting the reader into the middle of the action--greatly detailing not only the facts of each event, but the thoughts and feelings of each of the participants. This made for a wonderfully enlightening adventure through one of the most interesting times in our history. And Scott Brick was absolutely the most perfect accompaniment to the story. It took me quite awhile to get through, since I was only listening on my way to/from work, but I eagerly awaited that trip. I would highly recommend this book in any form.